Pewag introduces a worldwide innovation to the market: a patented tool-free lifting point. 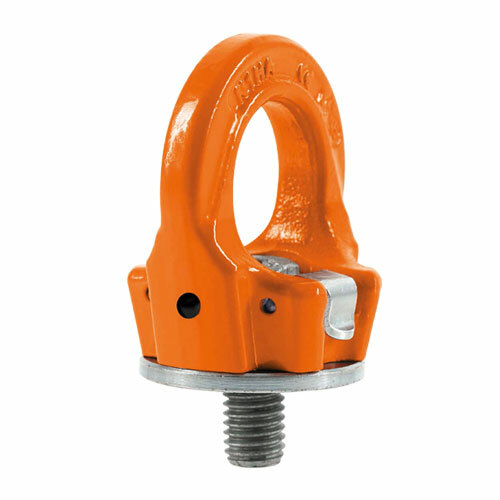 Pewag has raised the bar by designing a lifting point for tool-free anchorage, which can be tightened and aligned manually in the direction of the load. It rotates a full 360º--much like a swivel hoist ring, but far more economical--and contains a patented and interchangeable special screw, which is 100% crack-tested as well as covered with a chrome VI-free finish-protection against corrosion and marked with WLL and thread size. Each lifting point is marked with an individual serial number that allows full product traceability. A reference table with load capacities depending on the different methods of lifting, number of legs and angle of inclination is a part of the user manual and packed together with each lifting point. * Working Load Limit (WLL) shown is for single leg, inline loading only. Please refer to full product specification sheet for all angular load calculations and full product dimensions.